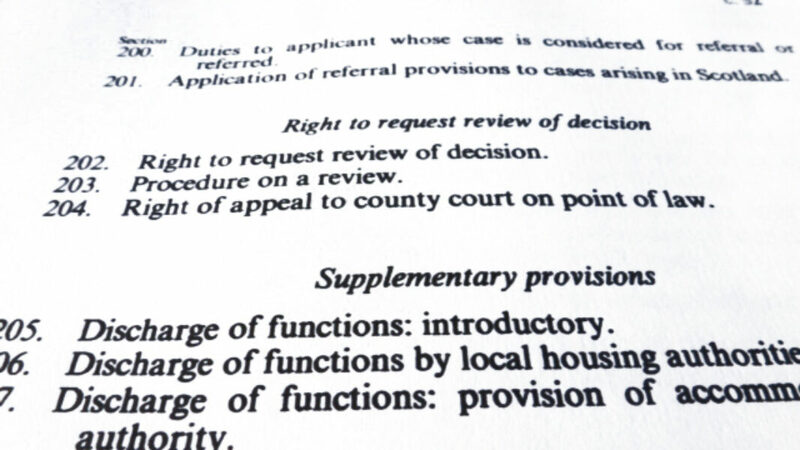 I carry out reviews of homelessness decisions for local authorities under section 202 of the Housing Act 1996. I always thought your [s.202 homeless review] decision letters were excellent, not just from the point of view of getting the law right but also in that they were grammatical and well phrased. I concentrate on providing a high quality service where all issues are comprehensively addressed, so minimising the likelihood of legal challenge. The review letter of Mark Prichard is one of the most painstaking, detailed and thorough that I have ever seen... [Mark was] meticulous and fastidious. identifying procedural changes that are required. I also provide training for reviewing officers and staff who undertake review enquiries.